​Jump aboard and be apart of it! Sign up and be involved. Spread the word around your local area; download, print and pin up this 'no waste' poster. A group of Creswick residents have started work to help Creswick 'Transition' into the future They intend to make Creswick more resilient, healthier and bursting with strong local livelihoods, while also reducing its ecological footprint. There are over 1000 'Transition' Initiatives across 43 different countries. Find out how you can become involved. 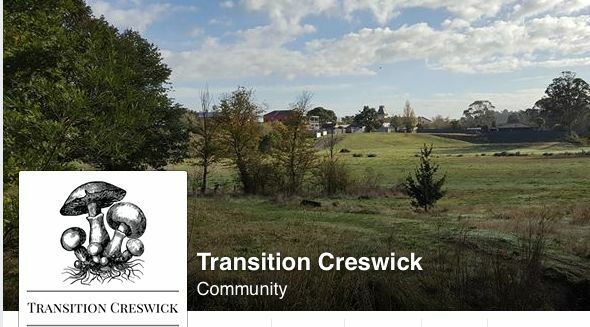 Visit their Facebook page Transition Creswick. The Victorian Government has developed a list of actions for individuals and families so they can play their part in helping the State reach their zero net emissions by 2050. It's good to see that one of the nine categories listed is Waste Reduction. There are then 10 sub-headings under it. Some of the subheadings are; reduce packaging waste, recycle garden waste, support sharing goods and services rather than buying, reduce waste and buy products that are built to last, etc. Fantastic news, two local business have become drop-off locations for two TerraCycle Recycling Programs.